Do I really need a SEO professional for my dealership’s website? The basics of SEO are just that: basic. They do not require special training. Most people can find a fair bit of information about how to research keywords, how to implement them, how to write great content, and how much content they need online. Most people try to handle these aspects of SEO by themselves, not realizing that while they might be taking care of the most basic search engine optimization functions, they are unaware of some of the important, but more amorphous concepts associated with SEO. While DIY SEO might be functional for some dealerships, there are two scenarios in which you would want to hire a professional: either you do not have time to really dig into the meat of SEO or you do not have the skills or knowledge that effective SEO requires. Not having enough time to take on all of the work that search engine optimizing your dealership’s website requires is one of the biggest reasons to hire a professional. SEO does take constant attention and constant work. If you do not have time on a daily basis to check your rankings, adjust your keywords, review your content, write new content, and market it, you probably do not have the time that an effective strategy requires. SEO does not have to be difficult, but it can be time consuming. How do you know if you have enough time? Often, dealerships assign SEO responsibilities to one of two people: either an intern or secretary or to the owner of the dealership. Both of these sets of people have plenty of other work to worry about and the dealership’s search engine optimization campaign is put on the back burner. In order for a campaign to work, it has to be on the front burner and being given the attention that it deserves and requires. A professional can help if you are in this situation by removing the burden of the work from your shoulders. While a professional optimizer will still need some input when it comes to keywords, themes, and information about the dealership, most of the day to day work will be taken over by someone who has extensive experience with optimizing website. If you are bogged down by the day to day of your dealership, you already know you do not have time to add another task onto your to-do list. If you do not have adequate time to devote to the campaign, it will suffer. 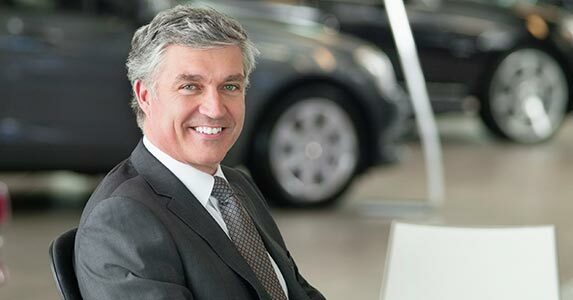 If you devote too much time to it, the dealership will suffer. Especially for those who are new to SEO and have to spend a great deal of time getting up to speed with the jargon and the concepts, trying to take care of your SEO yourself when you are already pressed for time is simply not a good idea. Not having the requisite knowledge to carefully construct an effective SEO campaign is another reason it would be worth your time to reach out to a professional for assistance. While there is very little you can mess up by simply finding keywords and writing content to include those keyword, that is not the extent of search engine optimization, and trying to make other changes to your website or use other strategies without really knowing how to make those changes or implement those strategies is just not a good idea. When dealing with link building, meta data, and other aspects of your campaign, it is very easy to accidentally do something that could hurt your ranking or even get you removed from the listings altogether. A professional knows that there are three separate levels to dealership SEO, having to do with the structure of the website, the content and links on the website, and then off-page optimization strategies that include link building. Full mastery of all three of these areas can be difficult for those who, again, do not have the time that this strategy requires. Many people who are new to SEO will inadvertently use a black hat technique, whether by buying spam links, using the wrong type of anchor text for their links, or simply posting their links in the wrong places. Working with someone who has a track record of success means that you are far, far less likely to see a flag on your website. Plus, most SEO professionals also have a marketing background. This enables them to understand first, how to figure out what type of customers you want to attract to your webpage and then how to craft a message that will get those people to your webpage. Automotive SEO shares many aspects with traditional marketing. It requires you to understand your customer and then to find a way to make your webpages more attractive and findable by those types of customers. They will also have a firm understanding of how to use the tools that measure the success of SEO and show the areas of improvement. While most of these tools are easy to find and free to use, the data that they provide is not always easy to analyze, rendering it useless. A professional will have experience looking at, analyzing, and interpreting that data to improve the campaign. While you certainly do not have to hire a SEO professional, if you want a campaign that quickly boosts your webpages’ to the top of search results, the best way to do that is with the help of a seasoned professional.